NINJAMAN JAPAN are a 5-piece Visual Kei band who blend together a mix of glam rock, metal and theatre to create a spectacular live show. 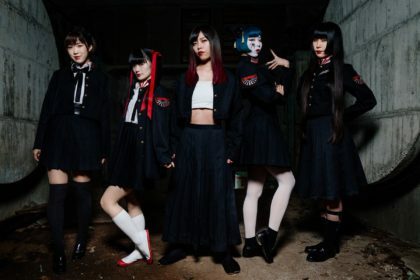 The band features Lida (Psycho le Cému) on guitar, Metal (Yoshida Metal, Gekidan★Shinkansen) on bass, Sarino (TINC, Shelly Trip Realize, Aioria) on vocals, Daishi on guitar and Pinky (PLUNKLOCK) on drums. NINJAMAN JAPAN formed at the end of 2008 when Metal invited Lida and Sarino to form a new band. Their live shows were an instant success and in 2010 they released their first single ‘Shinobi’. The line-up went through a few changes before embarking on a fresh start in 2012. Hyper Japan marks NINJAMAN JAPAN’s UK debut. Their enthusiasm for performing was certainly evident with what appeared to be a continual series of live shows all weekend. No easy task considering the physical exertions required in a NINJAMAN JAPAN performance. The band were also always in stage outfits, even while wandering Hyper Japan in those rare moments they weren’t performing. 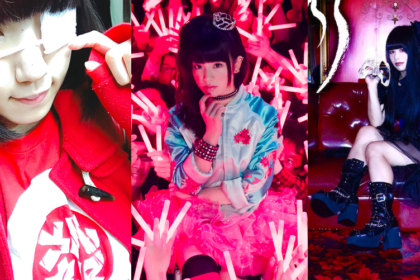 The interview for J-Pop Go was no exception. NINAJAMAN JAPAN’s latest single release ‘Fly Away’ came out earlier this year and encompasses the band’s approach to blistering guitars, infectious melodies and more than a nod to metal and heavy rock acts. 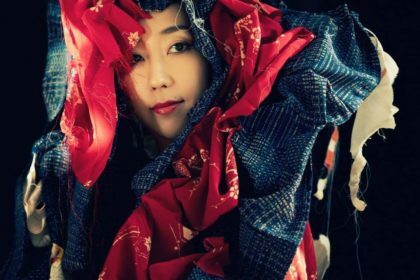 “I wrote ‘Fly Away’” adds Lida, but how did they gauge the response from the Hyper Japan crowds? “Well we just played ‘Fly Away’ today and got a good response so the British public must like us as well”. 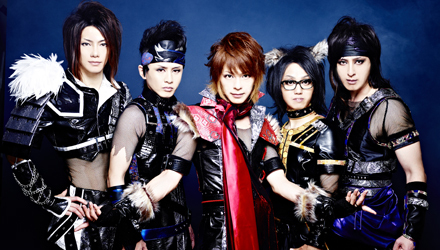 The band also recorded a cover version of cartoon classic ‘When You Wish Upon A Star’ for a special visual kei-themed Disney album titled V Disney. “We were given a certain number of choices, but because we like Pinocchio we chose ‘When You Wish Upon A Star’”. The dramatic elements featured in NINJAMAN JAPAN live shows were inspired in part by Japanese super sentai TV shows. “The concept behind NINJAMAN JAPAN is that there are these three elements: rock, action and drama” explains Metal, “the combination of those three elements is something only we can do, that’s unique. The concept is our unique combination of those three things”. 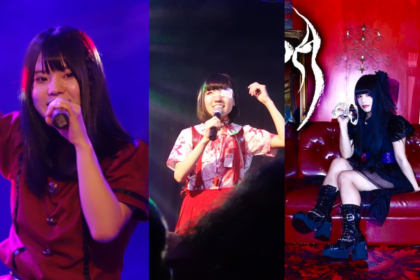 When queried about what the band were most looking forward to in the UK, Daishi has a swift response: “Promotional video at Stonehenge!” while the rest of the band have clearly set their sights on the future: “We’d like to perform at a normal UK live venue. Wembley Stadium!” (laughs). 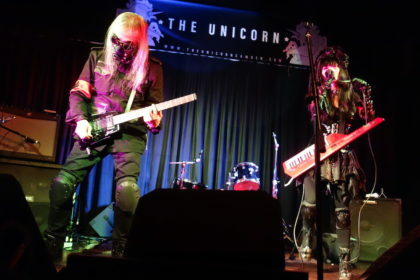 The UK’s musical legacy has clearly lent an inspiration to NINJAMAN JAPAN when they reel off a selection of favourite UK bands: “Beatles, Muse, Ozzy Osbourne”. Metal adds that he has a particular favourite in classic UK rock outfit Def Leppard: “I have the same birthday as their drummer! I was working as a DJ for a radio show. I went to see them live and I interviewed them.”. Although for the interview Metal adds that “I was like a little boy – a bit nervous!”. NINJAMAN JAPAN return to Japan having made a definite impression on their UK debut. We suspect it won’t be too long before they make their way back to win over new fans. 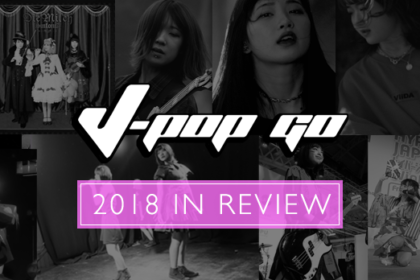 J-Pop Go extends its warmest thanks to NINJAMAN JAPAN, Akemi Oshima, Mary Moreton and the HYPER JAPAN press team. Fly Away is available via Amazon: Fly away and also via iTunes .